Any time pipeliners get together, the topic of conversation often turns to sidebooms. Some reminisce about the Little Boomers that emerged during the 1970s, but the majority tends to prefer discussing the evolution of this distinctive piece of equipment into what it is today. It enables these individuals to turn a D9G or D9H Caterpillar dozer into a pipe laying machine capable of lifting up to 200,000 pounds. 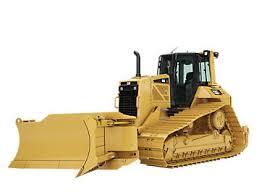 At first, the only sidebooms for sale were created to retrofit already existing dozers. This invention was critical for making it faster and safer to lay oil and gas pipelines. To move pipe from one place to another, outfits must have an efficient way of doing so, and that is what the sideboom is about. It is counterbalanced on one side with adequate weights to carry the required materials. Moving pipe from a storage area is not the only purpose for this piece of equipment. Sidebooms for sale are also used to place the right size pipe into a trench, eliminating the need for several men to perform this action. Several concerned individuals recognized a problem and then went on to design vital pieces of equipment, such as the sideboom. It addresses issues surrounding the very important gas and oil pipeline industry, and now the work can be completed in record time. While it is true that sidebooms for sale bring the opportunity to work more efficiently, that does not mean the work is not long and difficult. However, it does mean that the manpower required to get tasks done is greatly decreased. Pipeline sidebooms and pipelayers are machines essential for the operation of all types of pipelines. This includes gas pipelines. They are built for use on land with low ground pressure as they offer better side-to-side stability. Some models even address slope capability with the help of a lengthened track roller frame and repositioned rear idlers by placing more tracks on the ground. Sidebooms and pipelayers feature improved hydraulics with more precise control and greater response. These machines show better productivity because of its latest hydraulic system. Operators find it especially easy operating these machines as most of the machines have control handles. In fact, these machines have boom and hook functions which are placed in a spot which is conveniently to handle. The operators work in an enclosed cab which is not only very comfortable, but also provides for outstanding visibility while using it. the dual brake pedals which come with the machines provide for optimum machine control, especially when the machines are used on slopes. Operators are offered enhanced visibility and safety through the machine’s large surface. The pipe is offered better visibility because the machine’s block set design helps in reducing the profile. The latter designs of these machines also offer enhanced access to its operator station. Moreover, its lower winch profile provides for reduced shipping envelope, which in turn aids in its transportability. If you need more information and help buying the right pipelayer, pipeline sidebooms, contact us today for all your gas pipeline needs at 918-447-0055. Midwestern sideboom manufacturing began in 1953 and this hydraulically operated pipe laying attachment for D9 dozers has been helping pipeliners do their jobs ever since. Midwestern is the leading manufacturer of sidebooms throughout the world and is proud of its reputation for providing the highest quality equipment. Through the ingenuity and innovative techniques used to create the Midwestern sideboom, each client receives a product made to suit their own unique requirements. While it is true that sidebooms do attach to various models such as John Deere, Caterpillar, Komatsu and Case tractors, they can be customized to work properly on each of these. Ease of use, cost-effectiveness, safety and reliability are all desirable qualities that are built right into the Midwestern sideboom. Today, there are more than 140 hydraulic sideboom models and Midwestern has manufactured over 7500 sideboom attachments in various sized. Depending on the size, sidebooms can lift from 10,000 to 200,000 pounds with ease. One of the greatest benefits of using a Midwestern sideboom is its ability to add more functionality to equipment in the plants or on in the field. An example of that would be a loader backhoe being easily converted into a multi-purpose machine. Pipeliners also enjoy the benefits of these attachments, since they can lift and hold sections of pipe above a ditch until it is fit, welded, coated and then lowered into place. It didn’t take long for pipeliners to realize they were better off with the sideboom on the construction site. The hydraulic controls using pilot lever and joystick made it easier and faster for potential operators to learn necessary operating skills. Additionally, the increase in safety provided led to numerous companies mandating the use of hydraulic controls. Contact us today for all your gas pipeline needs at 918-447-0055. Pipelayers need to be chosen based on the size and weight of the pipe to be installed and the construction site’s topography. 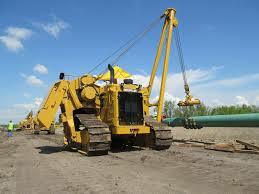 They determine the pipelayer’s lifting capacity, transportability and the project’s ease of service. Machine stability is another factor to consider while choosing sideboom and pipelayer machinery. Some machines have a wide operating platform while others have boom props for improved stability. Some even have wide track pads on the load side which help increase stamina while maintaining a low ground pressure. Of course, safety is a feature to look out for in any machine. Some machines offer improved safety features in the machines like incorporation of emergency free-fall on the load line, automatic over winding devices and an automatic boom kick-out that prevents boom damage. New cab designs help provide the operator with a better view around the machine. In a bid to reduce the carbon footprint of pipeline construction projects, companies manufacturing and distributing pipelayer and sideboom equipment have now developed machines with engines which emit lower emissions. 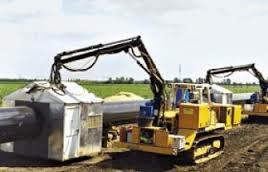 Future development is another point to remember while choosing sidebooms and pipelayers as each pipeline construction job is different wherein contractors need to carefully think and choose the machinery that best suits the project. Manufacturers are constantly developing these machines to improve its transportability, develop accessories that improve operator comfort and efficiency and also continue to produce machines to meet the new trends in the pipeline industry. If you need any help with your gas pipeline needs, just contact us today at 918-447-0055. While buying equipment for laying your gas pipeline, you find that there are various choices on the market today. While many people recommend Caterpillar equipment, you wonder why? There are actually many benefits and reasons to buying caterpillar equipment for gas pipelines. Caterpillar provides excellent service; no matter if you need planned maintenance, emergency repair or diagnostics, they always deliver whatever you need, wherever required. Caterpillar offers local support, convenient ordering of parts, local drop boxes and lots of other conveniences which save you time and effort so that you can concentrate on your gas pipeline work. Cat equipment always works at developing new ways for accomplishing more using innovative capabilities and technologies herein you get more cycles per hour, tons per day and miles per gallon. Caterpillar is famous for its reliability and durability. You thus feel comfortable owning and operating cat equipment for laying gas pipelines. Moreover, you receive the highest resale value on the market if you plan to trade or sell your equipment. Not many companies can match the efficiency and reliability cat equipment offers through its worldwide parts distribution network. They have 97% of the parts of both recent and current models on hand to ship and they will deliver them within 24 hours’ time. You can also order the pars you require online through their website, ‘PartStore’. Cat equipment offers a broad range of services to track, protect and maintain your equipment. They even evaluate and train operators or manage the machine’s productivity using computers and wireless technology. Caterpillar offers flexible financing options where you can rent, lease, barter or trade your equipment to get the equipment you require. If you want to learn more about using cat equipment for your gas pipeline needs, contact us today at 918-447-0055. Maintenance carried out to prevent major catastrophic situations is something most institutions include in their operational schedules. Generally troubleshooting and its consequent repairs are carried out on a small scale involving lower operational costs before any major downtime-causing event occurs. However it is better if organizations consider following an established maintenance schedule to reap the full benefits of preventive maintenance of equipment so that their equipment is ready for use anytime required. This is because even the best systems like pipeline machinery cat may wear out with time, thus creating a need of preventive maintenance consisting of making periodical check-ups and getting feedback from the operators. Determining which machines have some faults, and when they have to be rectified is only part of the maintenance schedule. A successful program is one created with careful thought, detailed written plans and schedules of the need and working of the machines. Decision makers will be able to determine which areas in the machines have to be addressed first, and how they plan to carry out these tasks. Being able to pinpoint how equipment is used is also a factor to keep in mind based on the business’s important areas of production. On gathering the maintenance history of a machine, and equipment is inventoried, then workers will be able to pinpoint the system requirements which should be a part of the maintenance plan. With all this data, managers can work with employees to reach an appropriate yearly maintenance time-table to ensure all their equipment work optimally, to use in any pipeline laying work. 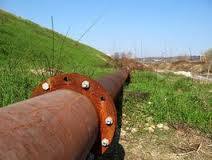 If you want help with your gas pipeline requirements, just contact us today at 918-447-0055. Pipeline construction equipment includes various types of equipment like pipe carriers, pipe locators, spreader bars, and welding machines. Today there are many companies that manufacture this type of equipment. 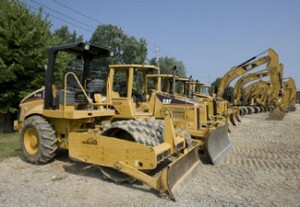 The most comon being Caterpillar Inc.
Caterpillar manufactures heavy equipment that is in high demand. 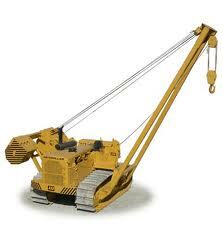 Their equipment is popularly used in construction, marine applications, mining and quarrying. Chances are, you’ve seen Caterpillar equipment used on jobsites. It is easy to pick them out as they are marked with their CAT logo. Their product line features over 300 types of equipment and machines that include Caterpillar pipeline equipment, wheel loaders, pipe layers, mining trucks, and other heavy duty equipment. Caterpillar boasts of a wide range of mining trucks like huge dump trucks popularly used for mining and quarrying needs. These trucks come in six models of varied payload capacities that range between 100 tons to 400 tons. Pipe layers, an important piece of machinery in the pipeline industry are another piece of Caterpillar pipeline equipment. This equipment has counterweight features which ensure the machine does not tip over. These pipe layers are available in four models where two are medium and two are a larger size. Mining and quarrying is never possible without wheel loaders. This machine comprises of a large bucket which is held by two hydraulic-powered arms which are lowered and raised as required. 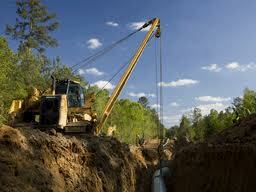 If you need help choosing of gas pipeline equipment, contact us today at 918-447-0055. We will work closely with you to meet all your equipment needs. Welders have many choices when it comes to welding equipment. The type that is purchased depends on several factors. Perhaps you are an amateur and just need a torch and a cutting tool for projects around the house. Or, maybe you are a professional welder and need welding machines, soldering equipment and helmets for everyday jobs. You might even need bigger equipment such as mig and flux welders or even an automatic used welding tractor. Before you settle upon various pieces of welding equipment, make sure that you have the right type for the job. Also, research various sources so that you don’t have to bust your budget. Keep in mind that you have the option to purchase new or used equipment. Also, you can rent or lease it depending on the duration of the job. But why lease equipment for the whole month when you can rent it for a few days instead? The bottom line is that you should shop around and ensure that you get the proper welding equipment for your needs. If you are a new welder or have a new welding business, maybe you should also talk to others who have been in the business longer. This might be the time to decide which type of welding you want to specialize in. This will make it much easier to decide which type of equipment to purchase. If you would like to know more about welding equipment, feel free to visit www.challengerservices.com or call them at 918-447-0055 for more information. It is very important for pipe laying companies to have a reliable and trustworthy backup service that can provide additional machinery and equipment when required. Challenger Services has established a reputation as a dependable supplier to the industry. 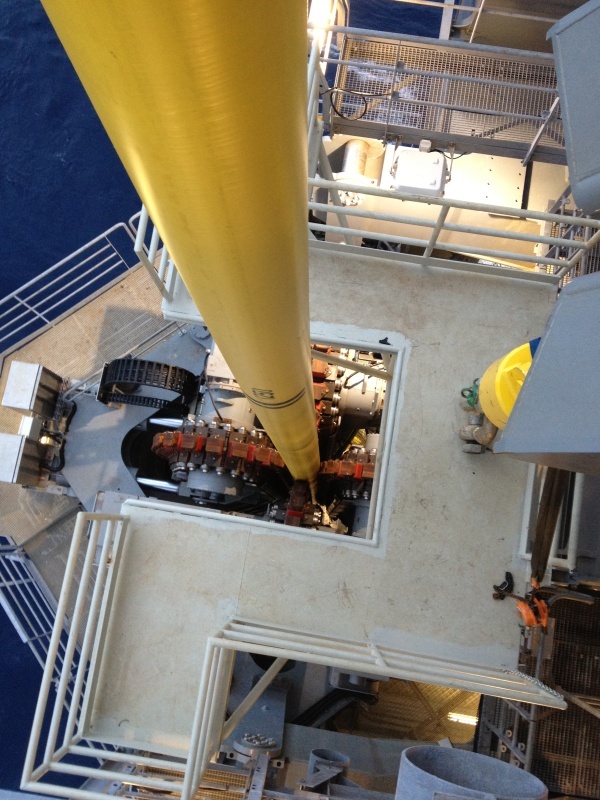 We carry a range of pipelay equipment to facilitate all aspects of onshore pipe laying. Quite often, the path of a pipeline will have to cross very difficult terrain. This makes it much harder to deliver products and services to the pipe laying site. Here at Challenger Services, we provide a range of dollies and pipe trailers that can be rented on a monthly basis. Our CPT-40 dolly has continuous track wheels, so the machine can tackle almost any kind of terrain to deliver pipes to where they are needed. If continuous track wheels are not needed, we offer the CTT-40 with pneumatic tires. We rent out equipment to speed up the process of pipe delivery on standard roads. Our pole trailer is suitable for highway use with a standard truck. The trailer is fully steerable, making it highly maneuverable, and comes with its own independent air brakes. Our D7G Pipecarrier, with up to 20 tons capacity, is just about the fastest way to transport pipes. We carry a wide range of other utility pipelay equipment. You can hire holiday detectors, welding machines, external clamps, spreader bars, slings, pipe locators and lots of other accessories from us, and our rates are highly competitive. Challenger Services is a company dedicated to providing customer satisfaction. 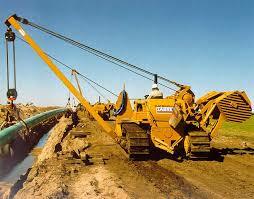 We offer heavy pipeline equipmentrental to the oil and gas pipeline industry. Whether you need welding machines, spreader bars, holiday detectors, slings, external clamps, pipe locators or any other kind of ancillary pipe laying equipment, give us a call. We offer some of the most attractive rental rates in the business. You can rent by the month, and we provide long and short-term rentals. Pipe laying companies rely on services like ours to provide them with first line or backup equipment to ensure projects are carried out on schedule. It is vital to have a dependable and reliable company to cater for these needs, and Challenger Services’ mission is to offer precisely that dependability and reliability. 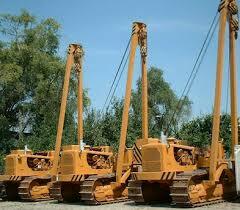 We also rent out heavy duty equipment for the transportation of pipes. We have a selection of dollies and trailers to suit every requirement. If you need to get pipes across rough terrain, we can provide you with a continuous track dolly that can handle almost anything. For other off-road work where the terrain is less unforgiving, you can rent our standard pneumatic tire dolly. If you want to speed up the time it takes to get pipes from base to the laying location, you could rent our D7G Pipecarrier. This pipe carrier can move up to 20 tons faster than virtually any other machine. Or you could use our highly maneuverable pole trailer that can be attached to a standard truck.